Johnson City and Gray vehicle owners choose H-Tek Auto Care for Dodge auto repairs. Eric and his team of ASE-Certified auto mechanics at H-Tek Auto Care in Gray will keep your Dodge running in tip-top condition; getting you to your destination as quickly or slowly as you desire. Perhaps you’re in Johnson City and Gray and a member of the heavy duty, Ram truck club and your vehicle is your money maker. The H-Tek Auto Care team of auto mechanics are highly trained on most models and can help you identify when it is time for preventative repairs to eliminate any down time. Eric requires all his technicians to attend a minimum of 30 hours of continuing education annually to keep up to date with the latest technologies, as well as learning new tricks for old problems. 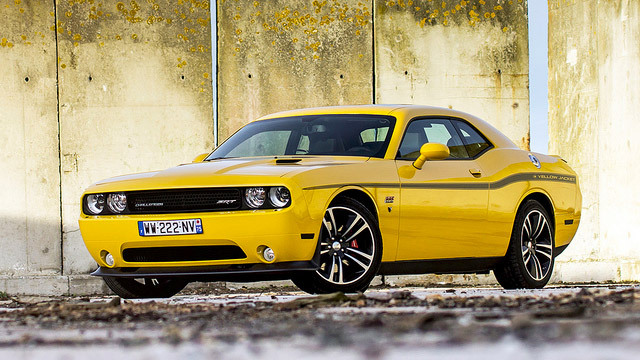 Your Dodge will be in the hands of the best. “I have been using H-Tek since Eric started and can say that I have the utmost confidence in the way my vehicles are cared for. They allow me to know and plan for larger maintenance items well in advance. I also know that when I drive off in my truck it will have no issues. I recommend H-Tek to anyone needing car care without reservation.” -- Joe R.
We back all of our repairs with a nationwide 3-year, 36,000-mile warranty because we want you to drive away feeling confident in the handling of your Dodge and we want to make you apart of the H-Tek Auto Care family. We are proud of our five generation, auto mechanic lineage and when you utilize our shuttle service, chances are Don, Eric’s father, will be your driver. So, when your Dodge needs servicing or auto repair, come visit us at 5882 Bobby Hicks Hwy., Gray, TN 37615 or schedule an appointment online.